From the studio that brought you Beauty and the Beast comes the re-imagined tale of The Nutcracker. 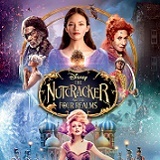 In The Nutcracker and the Four Realms, Clara travels along a golden thread, presented at Drosselmeyer’s (Morgan Freeman) annual party, eagerly searching for a one-of-a-kind key that will unlock a music box that holds a priceless gift. 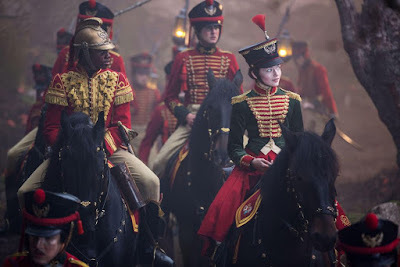 When she enters a mysterious parallel world, Clara encounters a Nutcracker soldier named Phillip (Jayden Fowora-Knight), a gang of mice and three Realm regents, including the Sugar Plum Fairy (Keira Knightley). Ultimately, she must brave the ominous Fourth Realm, home to the tyrant Mother Ginger (Helen Mirren), to retrieve the key and return harmony to the unstable world. Clara Stalhbaum has lost her mother, Marie. It’s her first Christmas without her mom, and Clara, her father, her brother, and sister are trying to cope with the loss by attending the annual Christmas party at Clara’s Godfather Drosselmeyer, who is also a toymaker. When Clara receives a gift from her mother that is missing its key, on Drosselmeyer’s advice, Clara goes on a hunt that leads her into a new reality where she learns that her mother was once the creator and queen. Unfortunately for Clara, the key she needs to open the gift from her mother is in the hands of Mother Ginger and her mice. After a confrontation, Clara retrieve the key, only to have it stolen again, and Clara must now retrieve the key and save the Four Realms. In order to save the land, Clara must team up with Mother Ginger, her mice, and Phillip, her Nutcracker. The Nutcracker was the first ballet I ever saw. It has been my favorite for as long as I can remember, and the magic of the music always brings it to life for me. As an added bonus, Prima Ballerina, Misty Copeland performed the ballet Clara watches. This ballet scene was easily my favorite part of the movie, and I watched it again after I finished the movie. The movie however was a bit of a departure from the original story. That said, I still enjoyed this version. The imagery was lovely, and the sets were amazing. I loved Keira Knightly as the Sugarplum Fairy, and Helen Mirren as Mother Ginger was the perfect role for her. With Morgan Freeman as Drosselmeyer, and MacKenzie Foy as Clara, this version is sure to entertain… as long as those who are fans of the ballet don’t expect it to be an exact copy. The colors of The Nutcracker and the Four Realms are sharp and beautiful. 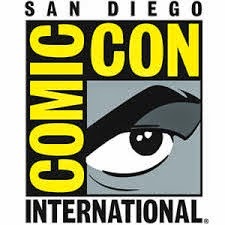 The video presentation of the movie was excellent. The picture was clear and crisp, and in typical Disney fashion, close to perfect. I enjoyed watching the movie just for the scenery, the colors, and the gorgeous sets. The Nutcracker and the Four Realms has an amazing soundtrack. Based on the original Tchaikovsky ballet, the English 7.1 DTS-HDMA sound was great. Dialogue, background sounds, and music was easily heard, and the volume level was even and clear. The special features for The Nutcracker and the Four Realms were good. I especially enjoyed the features that showed the dancing and the interviews with the dancers. On Pointe: A Conversation with Misty Copeland – Misty Copeland discusses her experience in front of the cameras and how different it is from dancing on stage at the Met. Listening to her discuss her experience, her dancing, her camaraderie with the other dancers, her partner, it was really interesting. I have been a fan of hers for a while, and love watching her dance, unfortunately for me; it has only ever been on a screen. Unwrapping The Nutcracker and the Four Realms – A quick behind-the-scenes look at the sets, characters, and actors in each role. This was interesting because the set designers explained their thinking and how they came up with the gorgeous sets that were used. Deleted scenes – Five deleted scenes available individually, or in a play all feature. I thought the scenes were good to be deleted. The five deleted scenes are: The Stahlbaums Arrive; Follow Your Ribbon; Clara Asks About Her Mother; Left, Left, Left, Left, Left; and Out with the Old. “Fall on Me”: Performed by Andrea Bocelli featuring Matteo Bocelli – The music videos to the theme of the movie. I love this song; it always brings tears to my eyes. It’s lovely to see father and son perform together. “The Nutcracker Suite”: Performed by Lang Lang – this is an orchestral performance of “The Nutcracker Suite” with scenes from the movie, and a performance by Misty Copeland and company. This is one of my most favorite pieces of music, so I could listen to it on repeat. 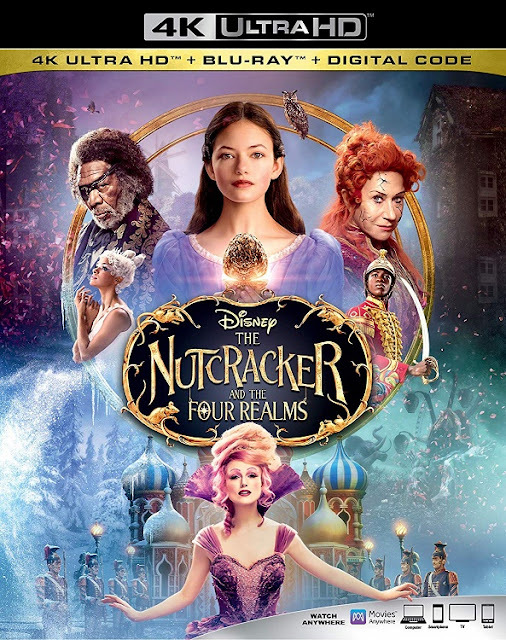 The Nutcracker and the Four Realms is a fun family film that tells a sweet story of a girl searching for answers. I love this story, and loved the interpretation Disney gave the viewers. The soundtrack has already been added to my playlist, and I am already looking forward to the next viewing of the movie. It will definitely be a regular in my viewing rotation.